Downtown Savannah real estate is unique. The historic homes in Savannah have character, and most of them have been renovated to combine historical architecture with modern conveniences. 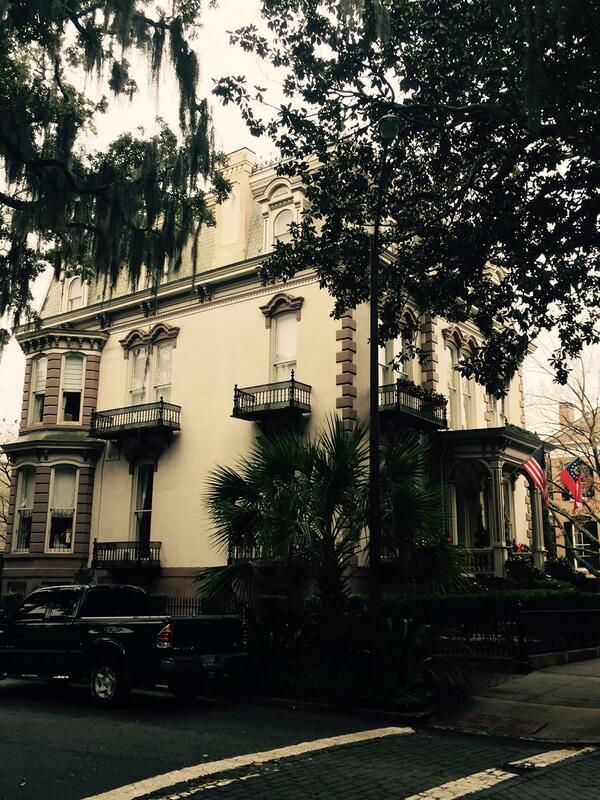 Historic downtown Savannah offers shops, restaurants, night clubs, a vibrant art scene, antique dealers and much more. Savannah is one of the best walking cities in the US. James Oglethorpe designed Savannah around a grid of green squares, now parks with monuments and benches, flowers and huge, beautiful oak trees. Traffic slows down to go around the squares, so, over time, pedestrians have developed the right of way -- it's easy to walk through Savannah at a leisurely pace and never feel rushed or overwhelmed by traffic. Homes in the downtown Savannah Historic District can be a little pricey, but there are plenty of affordable homes in the Victorian District or the Thomas Square Streetcar District, just minutes from downtown. I'll be writing more on my blog about downtown and waterfront developments. I received an email from a DR Horton rep at Rice Hope which is only a few miles outside of Rincon in Effingham County. This new neighborhood took off right before the housing boom and then stopped construction when the housing market remained in a slump, but now it's on the rebound. DR Horton Builders is offering to pay the first year of HOA fees for buyers that I represent. Rice Hope will eventually be one of the Savannah area's premier neighborhoods -- the clubhouse and pool are top-notch and the homes are priced below market value, but not for long. This is a good opportunity to take advantage of the end of the buyer's market in Savannah. As this neighborhood is finished out prices will begin rising again. Effingham County has great schools, it's close to the interstate and close to shopping, schools, hospitals, cinemas, etc. in Savannah, Pooler or Rincon. Savannah, Georgia area, ask away!